Richmond Hill Tree Service is more than just a tree removal company. We offer a wide range of services to ensure that your green assets remain healthy and attractive. Our professional tree care specialists, landscapers and gardeners all work together to provide the care and maintenance needed to keep your property at its optimum best. We offer everything from professional tree pruning and tree removal to hedge trimming and landscaping. As part of our commitment to helping you maintain the beauty of your garden, we also offer Fertilization and Aeration services in Richmond Hill, including surrounding areas such as Aurora, Georgina, King, Markham, Newmarket, East Gwillimbury and Vaughan. Your lawn is every bit as important as the other elements of your landscape. They require as much attention if not more as your flowerbeds and hedges. 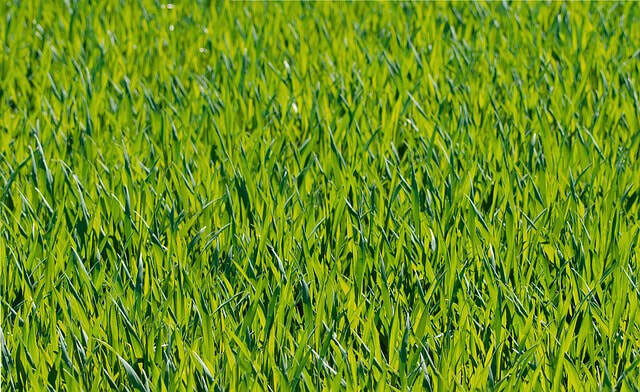 Each type of grass or turf has its own characteristics and needs that make them unique. In fact, you can say that no two lawns are ever truly the same. Here at Richmond Hill Tree Service, we offer custom care services for your lawn and we specialize in two of what we consider as essential services that keep your lawn green and healthy. Lawn Fertilization – Keeping your lawn healthy requires providing it with the best nutrition all year round. That is why we offer a five-season fertilization program. It is important to keep your grass well-nourished and we recommend fertilizer applications scheduled in the early spring, late spring, summer, fall and winter. These seasonal applications ensure that your lawn has what it needs to thrive from spring to summer as well as ensuring that it can withstand the winter cold. ​Our fertilization program for early spring ensures balanced and complete nutrition as well as crabgrass control. We also provide a late spring boost that promotes health and prevention of broad leaf weed. Summer fertilization is applied for growth, spot treatment as well as broad leaf weed control for summer weeds. During the fall our professional gardeners will do a special feeding to promote healthy and vigorous green lawn and provide spot treatment for weeds. Lastly, we will apply a turf winterizer mix that will helps your lawn store much needed nutrients and encourage early green up come spring. Aeration – Richmond Hill Tree Service recommends proper aeration twice a year, preferably in the early spring and fall. Proper aeration allows moisture and vital nutrients to reach your lawn’s roots nourishing your grass more effectively. The aeration process starts with our certified aeration professionals creating small holes throughout your lawn. This process of perforation allows water and nutrients to penetrate grass roots and allows air to circulate within the soil. Regular aeration encourages roots to grow deeply promoting a greener and healthier lawn that requires less watering and yardwork. Richmond Hill Tree Service understands that your lawn is more than just a patch of grass, it is a prized investment. And our professional gardeners will treat it as such. We provide residential and commercial properties with expert lawn care designed to keep your yard attractive, lush and healthy. Whether it is an issue with weeds, disease or discoloration, you can count on our professional landscaping team to help. Our professional green technicians will ensure your grass is beautifully green, healthy and safe. Let the grass be greener on your side of the fence with Richmond Hill Tree Service Fertilization and Aeration program. For more information, call us at 647-490-9067 or send us a message on this page to request your FREE quote!